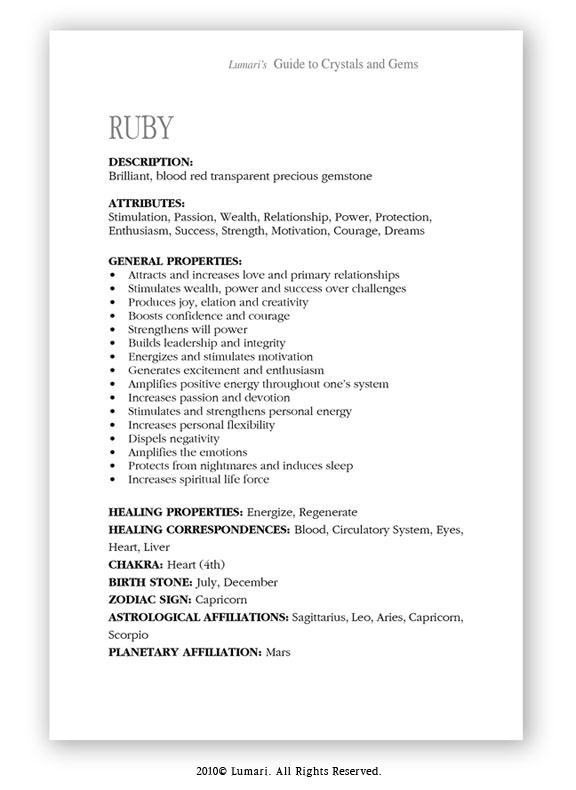 This example shows the gemstone RUBY. 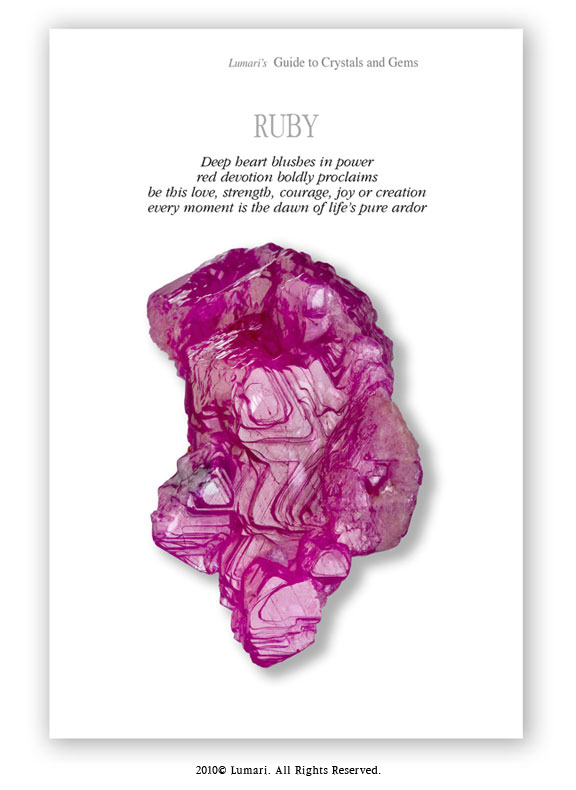 The first page features a full page, full color photograph of the gemstone Ruby. As you can see, one of the attributes for Amethyst is that it attracts and increases love and primary relationships. discover all of the powerful attributes andqualities that this crystal imparts.